Southampton have agreed a £16 million fee with Swiss side FC Basel to sign their forward Mohamed Elyounoussi. Moroccan-born Elyounoussi is a Norwegian international, who has been at Basel since 2016, and has made 84 appearances for the side, scoring 24 goals in the process, and helping the team to a league and cup double in the 2016 – 2017 side. The 23-year old can play either as a winger or a forward and is seek as somebody who can help fill the gap left by Dusan Tadic, who, according to Sky Sports, is set to leave the club for Ajax. 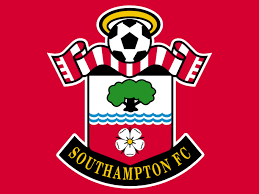 If Elyounoussi does sign, he will become Southampton’s second signing of the summer, after the arrival of Stuart Armstrong from Celtic on a 4-year deal. Elyounoussi’s father owns a pizza shop in Norway, and the son has been known to drop by and entertain the customers by singing songs by the Nolan Sisters.